Servicing your Dodge vehicle near Murfreesboro, Tennessee is easy when you visit the certified service center at Rockie Williams' Premier Dodge Chrysler Jeep Ram. A team of Mopar certified mechanics using the genuine Dodge parts will work diligently on your car to make sure that your service needs are perfectly met. We offer shuttle service, early drop-off service, and free Wi-Fi to make your day easier. Maintain your factory warranty by booking a service appointment at Rockie Williams' Premier DCJR today! Service your Dodge vehicle at your trusted Murfreesboro, TN Dodge dealership. Using official Mopar parts, our technicians can do a wide range of crucial services on your Dodge car or SUV. For general malfunction diagnosis, we run a diagnostic test on your engine to get a clear picture of what is wrong. From there, the service professionals at Rockie Williams' Premier Dodge Chrysler Jeep Ram can do a number of operations including transmission repair, brake pad replacement, catalytic converter replacement, and more. If your Dodge model simply needs an oil change service, a tire rotation, or new wiper blades, we can take care of that quickly to get your car back on the road. 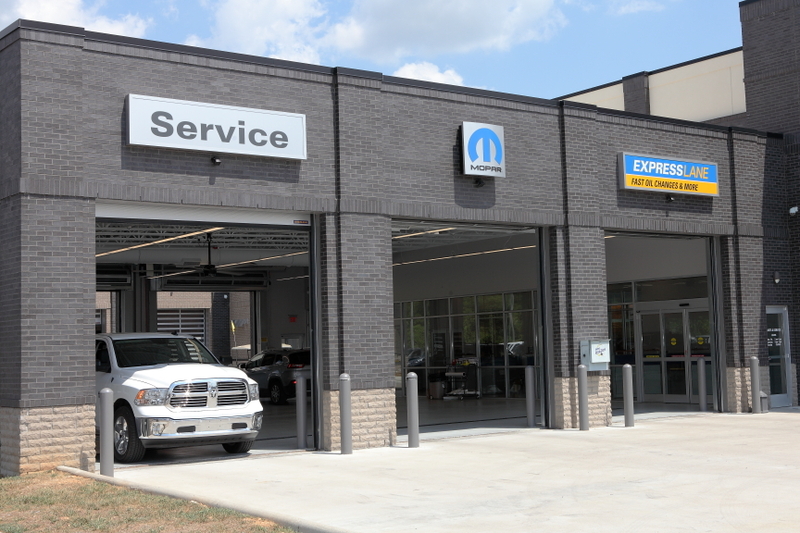 Use our Mopar Express Lane for services that don't need an appointment. Call our Dodge service center near Murfreesboro, TN now! Rockie Williams's Premier Dodge Chrysler Jeep Ram is located near Murfreesboro, TN and has everything your Dodge vehicle needs in terms of service or maintenance. Call now or go online now to book a Dodge repair, maintenance, or service appointment to keep your car running smoothly.